During one of my visits with my friend Jen, she was hungry for “potato bake”. 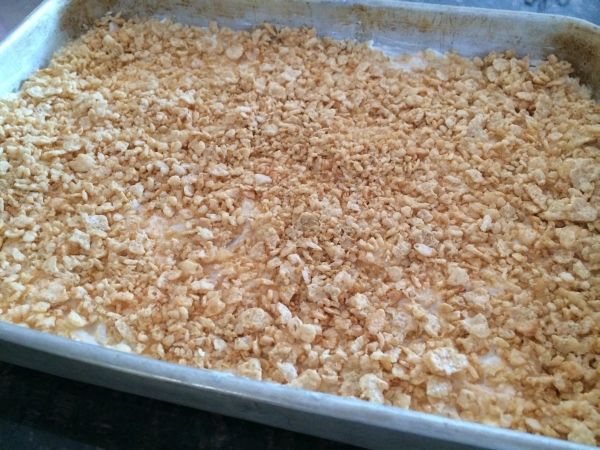 This recipe came from one of her old cookbooks and credits “Mildred Rush”. I prefer to use “Mr. 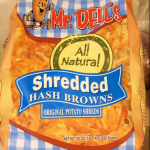 Dells Hash Browns”, which are my favorite brand of shredded potatoes. 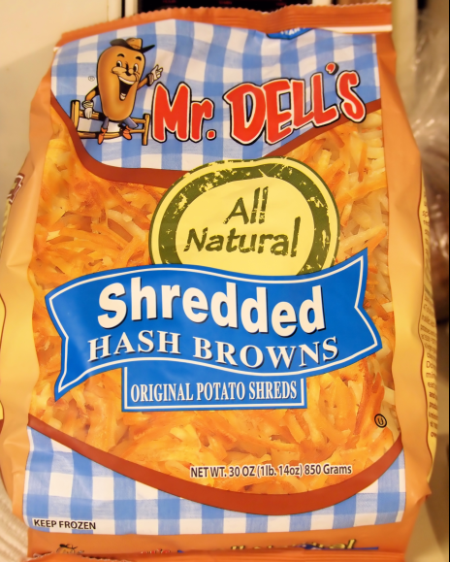 Dell’s first created the all Natural frozen shredded hash brown in 1975. Soon after, customers and consumers began to turn away from the frozen-in-a-patty (full of additives and preservatives) shredded hash browns. The flavor profile was better pronounced in the shredded as opposed to the industry standard diced. In addition to all of us who find them in the grocery store, their customer base also includes McDonalds, Burger King, Red Lobster, Taco Bell, just to name a few. I think they are of the highest quality. They are made from fresh whole potatoes; gently precooked, shredded, and individually quick frozen. They are 100% free of additives and preservatives and taste like homemade! 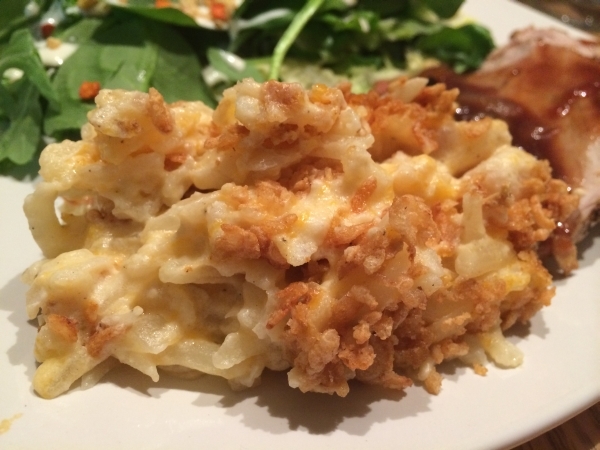 I really enjoy the texture and this is really a flavorful potato bake! Saute the chopped onion in the oil until translucent. Mix together the soup, one stick of melted butter, and sour cream until smooth. Add the cooked onions and cheese and season with salt and pepper. Pour over the hash brown potatoes and mix until smooth. Pour into a 9 X 13 inch baking pan that has been sprayed with non stick cooking spray. Cover with foil and bake at 350 degrees for one hour. 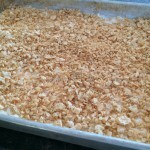 Crush corn flakes and mix with remaining melted butter until evenly coated. Sprinkle evenly on top of potatoes and continue to bake uncovered for an additional half an hour.